Stockton North MP, Alex Cunningham, has repeated his call for longer-term planning to increase capacity in NHS dentistry something desperately needed across the country but particularly in his constituency after the Queensway Practice in Billingham went private leaving 12000 people without NHS care. Alex’s call comes after he received a reply from the Parliamentary Undersecretary of State for Health, Steve Brine MP, to his letter on the issue of dentists going private. 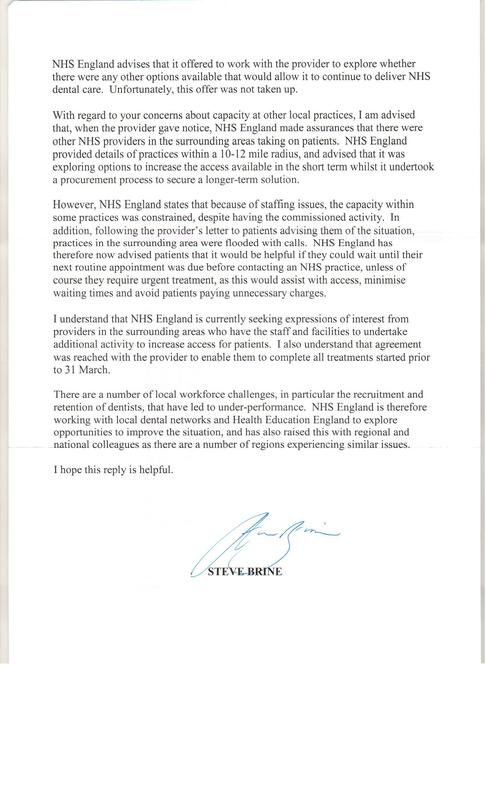 In his response, Mr Brine reiterated previous statements that NHS dentists were available in the area, and that NHS England were looking at short-term solutions to provide NHS places. These are fine words from the Government about NHS dentists in the area and short-term solutions, but we need more than that. 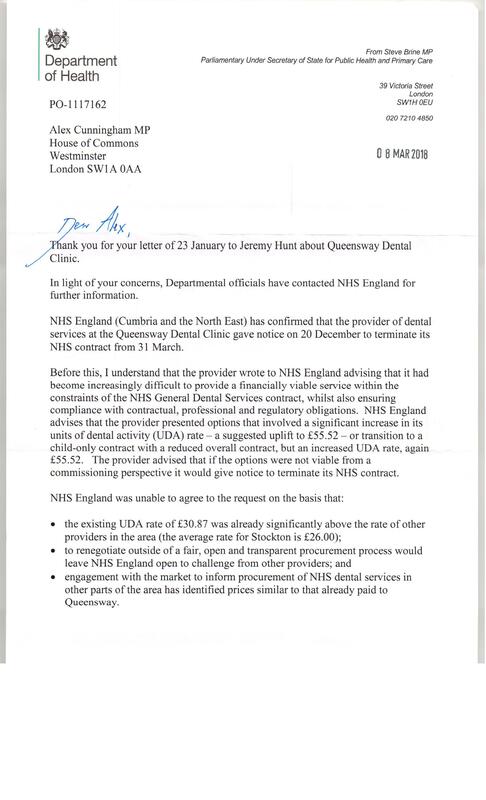 Unfortunately the Health Minister fails to understand the deep rooted problem affecting NHS dentistry – dentists being forced out of the service, and insufficient long term planning to build capacity. He can’t claim there is sufficient provision at the same time as saying his department is trying to increase it. While I welcome the decision by NHS England to do so, it is clear that a much wider rethink of NHS dentistry as a whole is required. In February, Alex organised a public meeting with NHS England and the British Dental Association, which gave residents of Stockton North an opportunity to voice their concerns about dental services. And he has now met with Meg Hillier MP, the Chair of the Public Accounts Committee, to discuss the structure of dental provision and funding, and is meeting with the Shadow Secretary of State for Health and Social Care, Jon Ashworth MP, in the coming weeks, to push the issue further. Despite Queensway going private and there being a lack of local dentists, residents should feel pressured into signing up for the fees being imposed by the practice. Anyone needing emergency treatment can approach any NHS dentist who will try to help. For those only requiring their regular check-up and who can wait, I suggest they do so by which time there should be places available at other dentists in the area.